January 2019: Snore sound based Sleep Apnea diagnostics intellectual property developed by Dr. Udantha Abeyratne and his team are available for commercialisation. The technology is the culmination of 20 years of ground breaking work leading to four patent applications including two granted ones in the USA (the rest are under examination at various stages) and a large portfolio of peer reviewed publications in international scholarly journals. A Matlab implementation of technology and performance comparions against American Academy of Sleep Medicine scoring critera of 2007 (AASM 2007) are available. Prior comparisons on Chicago Criteria ("AASM 1999") are also available via peer-reviewed literature. Our software models indicate that the technology can diagnose sleep apnea at a sensitivity and specificity approching that of a standard facility-based polysomnography (sensitivity, specificity around 90%, 90%-- cross validation studies). Note that the model development data sets available to us had been scored per AASM 2007 clinical criteria. Thus, the resulting models require a straight-forward re-training (re-calibration) process on AASM 2012 data before they can be used on subjects diagnosed under AASM 2012 criteria (which is the clinical scoring standard in effect since 2012). A/Prof Abeyratne is accepting (2019) post-doctoral researchers/covering the areas of: pattern recognition, machine learning, respiratory sound analysis, digital signal processing and smart phone programming for industry supported R&D work. Qualified students can be supported to apply for PhD scholarships on a competitve basis; details are available here. Assoc./Prof. Udantha Abeyratne is the inventor of the cough-sound based respiratory diagnosis technology (ResApp Health Ltd. (ASX: RAP)) and snore sound based sleep apnea diagnosis technology SnoreSounds. He earned a PhD (Biomedical Engineering) from Drexel University, USA, and MEng and BScEE degrees in Electrical & Electronic Engineering from Tokushima U, Japan and U Peradeniya, (video here) Sri Lanka respectively. He also received formal post-graduate training in Higher Education (Grad Cert , U of Queensland, Australia) and Paediatric Sleep Science (Grad Cert., U of Western Australia, Australia). He is a Senior Member of the Institute of Electrical & Electronic Engineers (IEEE, USA), and a full Member of the Australasian Sleep Disorders Association as well as the American Academy of Sleep Medicine (AASM). 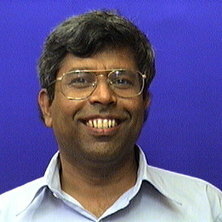 Dr. Abeyratne is the Director of the MEngSc program at The University of Queensland. ​Dr. Abeyratne started his research career with a paper on coding techniques for low-bandwidth communication channels. His master's thesis was on a machine learning approach to the human brain activity analysis using electroencephalography (EEG, Brain Waves) and evoked potentials. This approach won the best paper award in ISBET Brain Topography Conference (Osaka, Japan, 1990) and also placed Dr. Abeyratne as a finalist at the Young Investigators' Competition in IFMBE World Congress on Medical Physics and Biomedical Engineering, 1991 (Kyoto, Japan). He completed his PhD (1996) with Prof. Athina Petropulu as the advisor, working on Higher-Order-Spectra and medical ultrasound imaging. The thesis developed slice-based low-complexity algorithms for blind signal identification, tumor detection in ultarsound images, and image deconvolution. Assoc/Prof. Abeyratne has designed and taught university level courses on digital signal processing, electronic circuits, medical and general instrumentation, medical signal processing, medical imaging, control systems, project management and electromagnetic waves. He regularly supervises both undergraduate and postgraduate dissertation thesis projects in these areas. Within the last decade five students supervised by him won competitive awards at the UQ Innovation Expo. Assoc./Prof. Abeyratne's research interests encompass digital signal processing, machine learning, medical instrumentation, medical imaging, electrophysiology, bio-signal analysis and electronics. Over the last two decades A/Prof. Abeyratne has conceptualized, initiated and led the development of a number of innovative technologies funded by prestigious granting agencies such as the Bill & Melinda Gates Foundation, Australian Research Council and the A*-Star Singapore. His research programmes are characteristic of unorthodox approaches resulting in pioneering outcomes that produced spin-off companies, patents and scholarly publications. His research has recieved multiple peer accolades at the international level. 1. Electronic Instrument Design: hand-held ultrasound devices for medical, agricultural and industrial use; stethoscopes for the 21st century (The "Magithescope(c)", winner of two UQ Expo awards in 2013, 2014); biomimetic sensing devices (e.g. electronic nose, e-tongue), low-cost, portable electronic devices ("Tricoders") for diagnosing diseases such as apnea, asthma, pneumonia; wearable electrophysiological devices; real-time fatigue measurement and warning systems; hand-held instruments for the condition monitoring of machinery such as power transformers. Development of diagnostic and treatment devices for sleep apnea. Dr. Abeyratne is especially interested in developing accurate, multi-purpose and low-cost in-situ decision devices for applications in resource-poor regions of the world. 2. Diagnostic and Treatment Technology for Sleep Disorders: speech-like analysis of snore and breathing sounds; sleep diagnostic instrument design; sleep polysomnography, brain wave (EEG) analysis in sleep, quantification of fatigue and sleepiness; sleep apnea; design of apnea treatment devices (CPAP, dental devices); interaction of apnea and chronic diseases. mHealth approaches in sleep diagnostics. A/Prof. Abeyratne pioneered speech-like processing of respiratory sounds, leading to patents, papers and a spin-off company. He conceptualized and led the development of EEG based technology to quantifiy sleepiness in real-time in actual work environments. Outcomes of this program have recieved wide coverage in international media outlets due to its groundbreaking nature and the potential impact. 3. Respiratory Diagnostic Technology: diagnostic instrumentation and algorithm design for respiratory illnesses such as pneumonia, bronchiolitis, asthma, bronchiectasis and COPD; cough sound analysis in respiratory medicine; imaging technology for respiratory diagnosis; Portable diagnostic technologies and mHealth approaches for remote resource-poor areas of the world. About 1 million children below the age of 5 yrs die every year of pneumonia alone, mainly in remote resource-poor areas of the world. Poor access to diagnostics and medical treatment are the major reasons for pneumonia fatalities. A/Prof. Abeyratne proposed a ground-breaking new technology to diagnose pneumonia centred about cough sound analysis. For this research Dr. Abeyratne received funding from UQ, UniQuest and the Bill & Melinda Gates Foundation, which lauded the project (Page 4) as an exmaple for an innovative idea with high impact. Outcomes led to scholarly publications and contributed to patents as well as a spinoff company by UQ. 4. Signal Processing and Machine Intelligence: the analysis of bio-signals such as electroencephalography (EEG), electromyography (EMG); speech and industrial sound analysis, bowel sound analysis and the characterisation of inflammatory bowel disease; cardiovascular signal processing, source localization and blind source separation, higher order spectra, wavelets, pattern recognition, classifier design. Developing technology for monitoring the condition of Left Ventricular Assist Devices (LVAD). Our approach is centred on acoustical signal analysis for home monitoring and Computational Fluid Dynamics approaches (CFD). The project is done in collaboration the The Advanced Heart Failure and Cardiac Transplant Unit of the The Prince Charles Hospital, Brisbane. The CFD work also enjoys the access to the UQ Super computer. 5. mHealth: research on smart phone and other consumer devices as a platform for healthcare delivery. A/Prof Abeyratne is actively engaged in developing mHealth diagnostic solutions, including translating and customising sleep and respiratory technologies. He is also in the process of expanding the work to include meaningful deployment of the technology in both the developed and developing worlds, in collaboration with international NGOs, experts in community medicine, and the UQ spin-off companies resulting from the research program. New national and international collaborations are currently being negotiated to fund and facilitate this work. Associate professor Udantha Abeyratne, Dr. Vinayak Swarnkar (Past PhD graduate and now Post-Doctoral researcher with Abeyratne); Dr. Yusuf Amrulloh (Past PhD graduate); Dr. Shaminda de Silva (Past PhD graduate); Dr. Samantha Karunajeewa (Past PhD graduate); Dr. Suren Rathnayake (Past PhD graduate), Dr. Xiao Di (Past PhD graduate), Dr. T. Emoto (Past PhD work in UQ while at UT), Keegan Kosasih (Current PhD student); Shahin Akhter (Current PhD student), Duleep Herath (Current PhD Student); Mrunal Markendeya (Current PhD Student); Ajith Wakwella (Past MPhil graduate); Lee Teck Hock (Past MPhil Graduate), Tang Xiaoyan (Past MPhil Graduate), Dr. Zhang Guanglan (Past MPhil Graduate), Dr. Syed Adnan (Past MPhil Graduate) and many past and present dissertation thesis students. Dr. Craig Hukins & Brett Duce (Princess Alexandra Hospital), Prof. Y. Kinouchi & Dr. T. Emoto (U of Tokushima, Japan), Dr. Sarah Biggs (Monash), Dr.Simon Smith (QUT), Dr. Chandima Ekanayake (Griffith U), Dr. Paul Porter (PMH Hospital), Prof. Anne Chang (Menzies School of Health Reserach, CDU), Dr. Scott Mckenzie (Princess Charles Hospital), Dr. Nirmal Weeresekera (JKMRC, UQ), Dr. Rina Triasih (Gadjah Mada U, Indonesia), Dr. K. Puvanendran (1998-2002: Singapore General Hospital, Singapore), Prof.Stanislaw Gubanski (Chalmers U, Sweden). Cough is a common and one of the earliest symptoms in a range of respiratory diseases such as bronchitis, Congestive Heart Disease, pneumonia, asthma and pertussis. Cough frequency and coughing patterns can be useful in the differential diagnosis of diseases and in assessing the treatment outcomes. The nature of nocturnal cough patterns can also be highly useful in managing respiratory diseases. The manual counting of coughs in overnight (or long term) recordings is a tedious process. We are developing cough identification technology targeting ubiquitous consumer devices such as iPads/smart phones. Our methods will be available for both adults and children, including subjects with respiratory diseases. Our achievements so far (http://dx.doi.org/10.1016/j.bspc.2015.05.001) include pilot algorithms capable of sensitivity, specificity, and Cohen’s Kappa of 93%, 98%, and 0.65 respectively using a bedside microphone systems. These methods need further development, validation and implementation on smart phones. Students with a background on Digital Signal Processing/Machine Learning/Pattern Recognition/iOS-Android programming and a keen interest in biomedical signal processing will be suitable for this project. Pneumonia annually kills about a million children throughout the world. The vast majority of these deaths occur in resource poor regions such as the sub-Saharan Africa and remote Asia. Throughout the world pneumonia can be a serious problem in the aftermath of natural disasters and among the elderly. The management of pneumonia is difficult due to field-ready diagnostic facilities as well as the scarcity of trained healthcare workers. The World Health Organization (WHO) has developed a simple clinical algorithm to classify pneumonia. It has a reasonably high sensitivity but a poor specificity leading to over-prescription of antibiotics and the wastage of drug stocks. It has also met with operational challenges in remote communities. We are developing automated pneumonia diagnostic decision technology targeting ubiquitous consumer devices such as iPads/smart phones. Our mathematical algorithms will be available on self-contained smart phones. The phone will be used as the data acquisition, analysis and decision display unit. Our pilot studies indicate that it is indeed possible to diagnose pneumonia using cough sound analysis alone at high performance (sensitivity >90%, specificity>80%). We have also demonstrated that other clinical observations can be used alone, or, together with cough. Recent results we obtained suggest that other measurements alone (e.g. existence of runny nose, #days with runny nose, breathing rate and temperature) can achieve a sensitivity of 91% at the specificity around 72%. Specificity of our method is substantially higher than that, i.e., 38%, of the WHO algorithm while the sensitivities are similar. These methods need further development, validation and implementation on smart phones. Students with a background on Digital Signal Processing/Machine Learning/Pattern Recognition/iOS-Android programming and a keen interest in biomedical signal processing will be suitable for this project. Multi-parametric analysis of snore sounds for the community screening of sleep apnea with non-gaussianity index, #18880207, USA, Granted (2014); An expanded version under examination (#20150039110, USA, (2015)); Method and apparatus for determining sleep stages, Application #20110301487, USA (2011); A method and apparatus for processing patient sounds, application #2013239327 (Australia); #14/389291 (USA); #13768257.1 (Europe); 2015-502020 (Japan); #201380028268 (China); 10-2014-7030062 (Korea); About 5 other Australian & International PCT stage filings since 2005. More than 200 major news outlets have reported my work on sleep apnea and respiratory disgnostics. Examples include: ABC Science (Australia), Discovery News (USA), The Australian (Australia), Medical News Today (USA), Z-News (India), (Journal) Otolaryngology-Head & Neck Surgery, Springer USA Press Release, HealthLine News, Science Daily, Australian Life Sceintist, The Times (UK), Nine News (Australia) - video, CBC News (Canada), Sleep Review (journal), Lung Disease News, 2015. The Future of Healthcare, Ingenuity ("UQ Biomedical Engineering Research Addresses Global Issues", Pages 26-27), Discovery at UQ 2012 ("Sound Asleep?" Page 12), Bill & Melind Gates Foundation Discovery Stretegy Overview (page 4). International Innovation ("Field of Dreams"), UK, 2015. Abeyratne, U. (2008). A Framework for Information Processing in the Diagnosis of Sleep Apnea. In Wickramasinghe, N and Geisler, E. (Ed. ), Encyclopedia of Healthcare Information Systems Vol II 1 ed. (pp. 610-617) Hershey, New York: IGI Global. 榎本 崇宏 [Emoto, Takahiro], Abeyratne, Udantha R., Kusumoto, Tetsuya, 芥川 正武 [Akutagawa, Masatake], Kondo, Eiji, Kawada, Ikuji, Azuma, Takahiro, 小中 信典 [Konaka, Shinsuke] and 木内 陽介 [Kinouchi, Yohsuke] (2010) Discriminating apneic snorers and benign snorers based on snoring formant extracted via a noise-robust linear prediction technique. Seitai-ikōgaku [Transactions of the Japanese Society for Medical and Biological Engineering], 48 1: 115-121. Abeyratne, U. R., Vinayak, S., Hukins, Craig and Duce, Brett (2009) A new measure to quantify sleepiness using higher order statistical analysis of EEG. Conference proceedings : ... Annual International Conference of the IEEE Engineering in Medicine and Biology Society. IEEE Engineering in Medicine and Biology Society. Conference, 5543-5546. Ghaemmaghami, H., Abeyratne, U. R. and Hukins, C. (2009) Normal probability testing of snore signals for diagnosis of obstructive sleep apnea. Conference proceedings : ... Annual International Conference of the IEEE Engineering in Medicine and Biology Society. IEEE Engineering in Medicine and Biology Society. Conference, 5551-5554. Abeyratne, U. R. (2008) Learning How to Learn Medical Signal Processing: a Case Study. International Journal of Engineering Education, 24 6: 1084-1090. Ekanayake, N. and Abeyratne, U. R. (1989) Efficient differential detection of digital FM signals in bandwidth restricted channels. Iee Proceedings-I Communications Speech and Vision, 136 1: 64-70. Akhter, S., Abeyratne, U., Swarnkar, V. and Hukins, C. (2018). A non-contact snore based technique to identify males and females with OSA in REM/NREM sleep. In: 30th Annual Scientific Meeting (ASM) of Australasian-Sleep-Association and the Australasian-Sleep-Technologists-Association (Sleep DownUnder), Brisbane Australia, (). 17-20 October 2018. Swarnkar, V., Abeyratne, U., Hukins, C. and Duce, B. (2018). Effects of different scoring criteria on the smartphone-based diagnosis of sleep apnoea. In: 30th Annual Scientific Meeting (ASM) of Australasian-Sleep-Association and the Australasian-Sleep-Technologists-Association (Sleep DownUnder), Brisbane Australia, (). 17-20 October 2018. Markandeya, M. and Abeyratne, U. (2018). Identifying upper airway obstructions using wide band analysis of snore sounds. In: 30th Annual Scientific Meeting (ASM) of Australasian-Sleep-Association and the Australasian-Sleep-Technologists-Association (Sleep DownUnder), Brisbane Australia, (). 17-20 October 2018. Swarnkar, V., Abeyratne, U., Duce, B. and Hukins, C. (2018). Smartphones-based diagnosis of sleep apnoea using the nocturnal respiratory sound spectrum from breathing to snoring. In: 30th Annual Scientific Meeting (ASM) of Australasian-Sleep-Association and the Australasian-Sleep-Technologists-Association (Sleep DownUnder), Brisbane Australia, (). 17-20 October 2018. Mccloy, K., Swarnkar, V., Abeyratne, U. and Hukins, C. (2018). The dynamic indices of respiratory, arousal and sleep fragmentation as descriptors of sleep related events. In: 30th Annual Scientific Meeting (ASM) of Australasian-Sleep-Association and the Australasian-Sleep-Technologists-Association (Sleep DownUnder), Brisbane Australia, (). 17-20 October 2018. Mccloy, K., Swarnkar, V., Hukins, C. and Abeyratne, U. (2018). The relationship between standardized sleep indices and pre-sleep systolic blood pressure. In: 30th Annual Scientific Meeting (ASM) of Australasian-Sleep-Association and the Australasian-Sleep-Technologists-Association (Sleep DownUnder), Brisbane Australia, (). 17-20 October 2018. Swarnkar, V., Abeyratne, U. R. and Hukins, C. (2010). Automated EEG based macro-sleep scoring independent of R&K feature. In: 22nd Annual Scientific Meeting of Australasian Sleep Association and Australasian Sleep Technologists Association: Sleep Down Under 2010 - Biodiversity of sleep, New Zealand, (). 21-23 October 2010. Swarnkar, V., Abeyratne, U. R. and Hukins, C. (2010). Extracting OSA specific feature from two-channel EEG in routine polysomnography. In: 22nd Annual Scientific Meeting of Australasian Sleep Association and Australasian Sleep Technologists Association: Sleep Down Under 2010 - Biodiversity of sleep, New Zealand, (). October 21 - 23. Abeyratne U R, Swarnkar V, Hukins C and Duce B (2010). Localized excitation differences in brain during sleep disorders: An exploratory study. In: 22nd Annual Scientific Meeting of Australasian Sleep Association and Australasian Sleep Technologists Association: Sleep Down Under 2010 - Biodiversity of sleep, New Zealand, (). October 21 - 23. Abeyratne ,U. R., Hukins, C., Swarnkar, V., Karunajeeva, S., De Silva, S. and Gharmmaghami, H. (2010). Multi-parametric snore analysis on OSA diagnosis. In: Sleep Down Under 2010 - Biodiversity of sleep: 22nd Annual Scientific Meeting of Australasian Sleep Association and Australasian Sleep Technologists Association, Christchurch, New Zealand, (). October 21 - 23 2010. Abeyratne, U. R., Swarnkar, V., Hukins, C. and Duce, B. (2010). Single channel EEG based sleepiness detection system. In: Sleep Down Under 2010 - Biodiversity of Sleep. 22nd Annual Scientific Meeting of Australasian Sleep Association and Australasian Sleep Technologists Association, Christchurch, New Zealand, (). 21 - 23 October 2010. Karunajeewa, A.S., Abeyratne, Udantha and Hukins, Craig (2009). Analysis of snore sounds by higher order statistics for the non-contact screening of sleep apnea. In: Honman, K., Visions of the night: Sleep Science and Research on the World Stage. Australian Sleep Association and Australian Sleep Technologists Association 21st Annual Scientific Meeting, Melbourne, Australia, (A45-A46). 8 - 10 October 2009.
de Silva, Shaminda, Abeyratne, Udantha, Swarnkar, Vinayak and Hukins, Craig (2009). Effect of background sound removal on snore sound based apnea diagnosis. In: Health Care for 21st Century. 2nd International Conference on Biomedical Informatics and Signal Processing, Chennai, India, (1-5). 12 - 14 March 2009. Ghaemmaghami, H., Abeyratne, Udantha, Hukins, Craig and Duce, Brett (2009). The utility of the analysis of the gaussianity of snore related sounds in the diagnosis of obstructive sleep apnea. In: Honman, K., Visions of the night: Sleep Science and Research on the World Stage. Australian Sleep Association and Australian Sleep Technologists Association 21st Annual Scientific Meeting, Melbourne, Australia, (A27-A27). 8 - 10 October 2009. Abeyratne, Udantha, Swarnkar, Vinayak and Hukins, Craig (2009). Weighted sleep stage transitions: A novel method for quantifying sleep fragmentation. In: Health Care for 21st Century. 2nd International Conference on Biomedical informatics and Signal Processing, Chennai, India, (1-4). 12 - 14 March 2009. Katayama, M., Akutagawa, M., Abeyratne, U. R., Kaji, Y., Shichijo, F., Furukawa, K., Nagashino, H. and Kinouchi, Y. (2008). Localization of brain inert region from eeg using 1m neural networks. In: The 5th International Conference on Information Technology and Applications; [proceedings]. 5th International Conference on Information Technology and Applications, ICITA 2008, Cairns, QLD Australia, (722-725). 23 - 26 June 2008. Emoto, T., Abeyratne, U. R., Akutagawa, M., Nagashino, H. and Kinouchi, Y. (2007). Neural networks for the novel diagnosis method based on clinical snoring sound analysis in apnea. In: 10th World Congress on Medical Physics and Biomedical Engineering, WC 2006, Seoul, , (942-945). August 27, 2006-September 1, 2006. Inoue, Kunihiko, Akutagawa, Masatake, Emoto, Takahiro, Abeyratne, Udantha, Uemura, Tetsuya, Nagashino, Hirofumi and Kinouchi, Yohsuke (2007). Order estimation and screening of apneic snore sound using the Akaike Information Criterion. In: Sun I. Kim and Tae Suk Suh, IFMBE Proceedings: World Congress On Medical Physics and Biomedical Engineering 2006, Vol 14, Pts 1-6. World Congress on Medical Physics and Biomedical Engineering 2006, Seoul, South Korea, (1135-1138). 27 August - 1 September 2006. Swarnkar, V and Abeyratne, U R (2006). Statistical analysis of EEG arousals in sleep apnea syndrome. In: C. Ruggiero, Proceedings of Fourth IASTED International Conference on Biomedical Engineering (BioMED 2006). Fourth IASTED International Conference on Biomedical Engineering (BioMED 2006), Innsbruck, Austria, (282-287). 15-17 February, 2006. Emoto, T., Akutagawa, M., Abeyratne, U. R., Nagashino, H. and Kinouchi, Y. (2005). A comparison of neural network and fast fourier transforn-based approach for the state analysis of brain. In: M. Zhao and Z. Shi, Proceedings of 2005 International Conference on Neural Networks and Brain. International Conference on Neural Networks and Brain, Beijing, China, (94-99). 13-15 October, 2005. Emoto, Takahiro, Akutagawa, Masatake, Kinouchi, Yohsuke, Abeyratne, Udantha R. and Nagashino, Hirofumi (2005). Application of BP neural networks to transition detection in time series models. In: Chavez Rosa-Hilda, Franger Sylvain, Raut Rabin and He Zhengjia, Proceedings 2005 WMSCI 2005, the 9th World Multi-Conference on Systemics, Cybernetics and Informatics. 9th World Multi-Conference on Systemics, Cybernetics and Informatics, Orlando Fl, (360-365). 10-13 July 2005. Koggalage, R, Chomsuwan, K, Yamada, S., Iwahara, M and Abeyratne, U. R. (2005). Giant magnetoresistance based eddy-current sensor for high speed PCB detection. In: T. Nanayakkara, S. Halyamuge, D. Alahakoon, D. Dias, S. Wijesoma and R. Munasinghe, Proceedings of the International Conference on Information and Automation. ICIA 2005, Colombo, Sri Lanka, (170-175). 15-18 December, 2005. Swarnkar, V. and Abeyratne, U. R. (2005). Inter-hemispheric asynchrony of the brain during apnea related EEG arousals. In: T. Nanayakkara, S. Halyamuge, D. Alahakoon, D. Dias, S. Wijesoma and R. Munasinghe, Proceedings of the International Conference on Information and Automation. ICIA 2005, Colombo, Sri Lanka, (31-36). 15-18 December, 2005. Karunajeewa, A. S., Abeyratne, U. R. and Hukins, C. (2005). Mixed-phase modeling of snore sounds within a nonlinear framework for component identification. In: M. Suzuki, 2005 IEEE - EURASIP Workshop on Nonlinear Signal and Image Proceesing. 2005 IEEE - EURASIP Workshop on Nonlinear Signal and Image Proceesing, Sapporo, Japan, (1-42). 18-20 May, 2005. Emoto, Takahiro, Abeyratne, Udantha R., Akutagawa, Masatake, Nagashino, Hirofumi, Kinouchi, Yohsuke and Karunajeewa, Samantha (2005). Neural networks for snore sounds modeling in sleep apnea. In: G. Mauris, L. Perlousky and V. Piuri, Proceedings of the 2005 IEEE International Conference on Computational Intelligence for Measurement Systems and Applications (CIMSA 2005). 2005 IEEE International Conference on Computational Intelligence for Measurement Systems and Applications (CIMSA 2005), Giardini Naxos, Italy, (316-321). 20-22 July, 2005. Abeyratne, U. R., Wakwella Kankanamge, A. S. and Karunajeewa, A. S. (2005). Sleep apnoea: A serious public health concern with tough information processing challenges. In: T. Nanayakkara, S. Halyamuge, D. Alahakoon, D. Dias, S. Wijesoma and R. Munasinghe, Proceedings of the International Conference on Information and Automation. ICIA 2005, Colombo, Sri Lanka, (25-30). 15-18 December, 2005. Wakwella Kankanamge, A. S. and Abeyratne, U. R. (2004). Snore based systems for the diagnosis of apnoea: A novel feature and its receiver operating characteristics for a full-night clinical database. In: S. Lande, Proceedings of the 2004 IEEE International Workshop on Biomedical Circuits and Systems. The 2004 IEEE International Workshop on Biomedical Circuits and Systems, Singapore, (235-238). 1-3 December, 2004. Karunajeewa, A. S., Abeyratne, U. R. and Hukins, C. (2004). Towards a home apnea monitor: A new method of extracting speech and voiced-snore segments from noisy respiratory sounds. In: S. Lande, Proceedings of the 2004 IEEE International Workshop on Biomedical Circuits and Systems. The 2004 IEEE International Workshop on Biomedical Circuits and Systems, Singapore, (513-516). 1-3 December, 2004. Xin, Y. and Abeyratne, U. R. (2003). A Monte Carlo simulation study on extra-neural stimulation of nerve fibers: The effects of inherent randomness and the number of electrodes. In: B. Thomas and M. Pearcy, Proceedings of the World Congress of Biomedical Engineering and Medical Physics. The World Congress of Biomedical Engineering and Medical Physics, Sydney, (1-4). 24-29 August, 2003. Abeyratne, U. R. and Puvanendran, K. (2003). Instrumentation and signal processing paradigms in the diagnosis of sleep apnoea. In: B. Thomas and M. Pearcy, Proceedings of the World Congress on Biomedical Engineering and Medical Physics. The World Congress on Biomedical Engineering and Medical Physics, Sydney, (1-1). 24-29 August, 2003. Abeyratne, U. R. and Xin, Y. (2002). Selective stimulation of nerve fascicles in neuroprosthetic systems. In: C. Chean, Proceedings of the Seventh International Conference on Control, Automation, Robotics and Vision. Seventh International Conference on Control, Automation, Robotics and Vision, Singapore, (584-589). 2-5 December, 2002. Xin, Y. and Abeyratne, U. R. (2002). Temperature and nonlinear effects in selective extraneural stimulation of nerve fascicles. In: L. Tong, Proceedings of the International Congress on Biological and Medical Engineering 2002. International Congress on Biological and Medical Engineering 2002, Singapore, (1-2). 4-7 December, 2002. Zhang, G. L., Abeyratne, U. R. and Lee, T. H. (2001). A systematic comparison of classical and neural network techniques in EEG source localization. In: J. Middleton, M. L. Jones and Gyan Pande, Computer methods in biomechanics & biomedical engineering--3. 4th International Symposium on Computer Methods in Biomechanics and Biomedical Engineering, Lisbon Portugal, (509-514). 1 October 2001. Lee, T. H., Abeyratne, U. R., Puvanendran, K. and Goh, K. L. (2001). Formant-structure and phase-coupling analysis of human snoring sounds for the detection of Obstructive Sleep Apnea. In: J. Middleton, M. L. Jones and Gyan Pande, Computer methods in biomechanics & biomedical engineering--3. 4th International Symposium on Computer Methods in Biomechanics and Biomedical Engineering, Lisbon Portugal, (243-248). 1 October 2001. Xiao, Di, Ng, Wan Sing, Abeyratne, U. R. and Tsang, Charles Bih-Shiou (2001). Multigradient field active contour for multilayer detection of ultrasound rectal wall image. In: Yorgo Istefanopulos, 2001 conference proceedings of the 23rd Annual International Conference of the IEEE Engineering in Medicine and Biology Society. 23rd Annual International Conference of the IEEE-Engineering in Medicine and Biology Society, Istanbul Turkey, (2645-2648). 25-28 October 2001. Xiao, Di, Ng, Wan Sing, Abeyratne, U. R., Keong, Kwoh Chee, Tsang, Charles B. and Cheon, Seow (2001). Rectal wall structure delineation and broken layer recognition by multigradient field active contour. In: Anziis 2001: Proceedings of the Seventh Australian and New Zealand Intelligent Information Systems Conference. 7th Australian and New Zealand Intelligent Information Systems Conference (ANZIIS 2001), Perth Australia, (123-127). Nov 18-21, 2001. Abeyratne, U. R. (1998). Signal reconstruction from bispectrum slices in biomedical applications. In: Proceedings of the 3rd IEEE Nordic Signal Processing Symposium (NORSIG '98). NORSIG'98. 3rd IEEE Nordic Signal Processing Symposium, Vigsø, Denmark, (269-272). 8-11 June 1998. Abeyratne, UR, Nabet, B and Krebs, WK (1994). Processing Ultrasound and Night-Vision Images by the Boundary Contour - Feature Contour Model of Biological Vision. In: World congress on neural networks : 1994 International Network Society Annual Meeting. 1994 International Network Society Annual Meeting, San Diego CA, United States, (IV-307-IV-313). 05-09 June 1994. Abeyratne, Udantha, Karunajeewa, Asela Samantha and Ghaemmaghami, Houman (2014). Multi-parametric analysis of snore sounds for the community screening of sleep apnea with non-gaussianity index. 8880207. Abeyratne, Udantha R. and Swarnkar, Vinayak (2010). A method and apparatus for determining sleep states. WO 2010060153. Intra-Hemispheric Asynchrony Time Series for Representation of Sleep Apnea. Udantha Abeyratne and Vinayak Swarnkar (2009). Intra-Hemispheric Asynchrony Time Series for Representation of Sleep Apnea.. 2010903945. Collection, sharing, visualisation and analysis of locally gathered information from geographical remote areas vulnerable to tidal waves (ARC SR0567373 administered by University of Melbourne).